Add a convenient on/off switch to any outlet with the Oviitech Grounded Power Switch. Great for hard-to-reach lamps,appliances, indoor holiday lights and items without on/off switches. The grounded power switch is easy to use and its design does not cover both outlets. -This switch helps you save money and energy by drawing zero power in the off position. 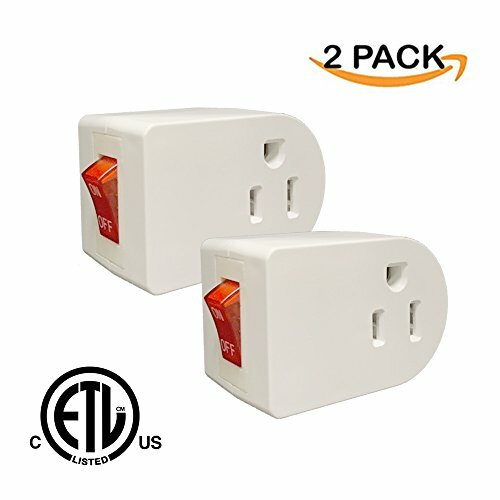 -With the switch located right at the outlet and easy installation, this power switch is great for everyday use.Simply plug your lamp or appliance into the power switch and plug the switch into any grounded outlet.